Even before the Assassin's Creed 3 release the Ubisoft company said that the game’s setting is going to change in the next part of the series. "The storyline about Templars and Assassins struggle has almost outlived its usefulness, but we have some ideas how to bring something new to the development in this area." 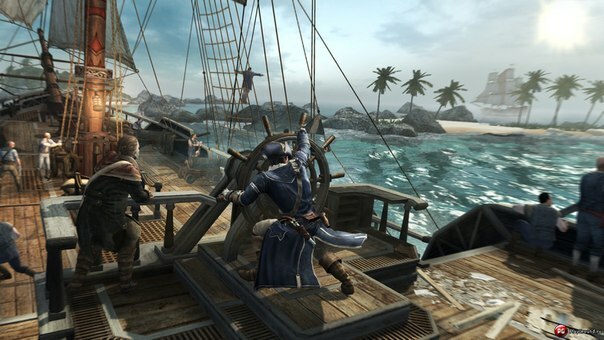 "On the plane, I accidentally noticed a lady’s PowerPoint presentation, which was devoted to marketing and Assassin's Creed 4 Black Flags release scheduled for late 2013. 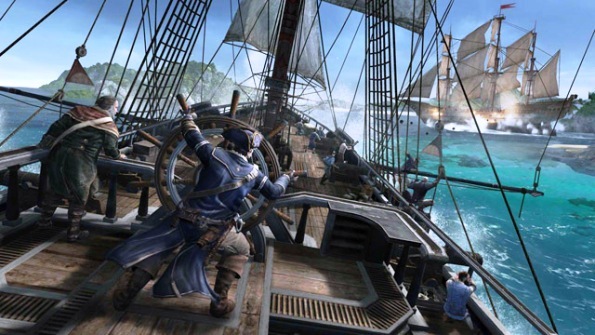 I could not take any pictures, so I just share my findings, to work together and find out the truth "
"In a cafe in San Francisco two designers discuss the next Assassin's Creed 3 gameplay DLC which will be based on sea battles. 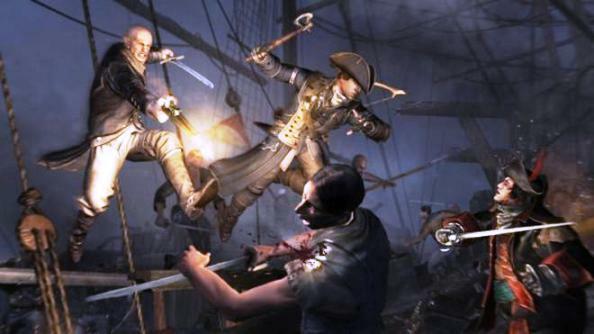 Black Flags advertising slogan should be the phrase << Survival - the only thing worth dying >> "
It is not known which of 2 is telling the truth or it may be another commercial rumor before the official announcement from Ubisoft. But in the near future the "The Tyranny of King Washington" DLC series will be released and talk about the Assassin's Creed 4 is not time yet.